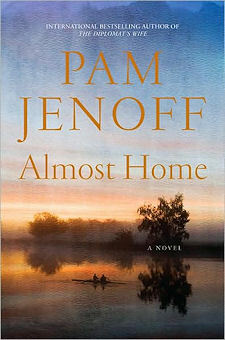 Nise’ from Under The Boardwalk read Pam Jenoff’s Almost Home, which counts toward the WWII reading challenge as it deals with a death tied to research on the war that uncovers a secret. It was filled with mystery and suspense that had me turning the pages on afternoon. Read the rest of her thoughts here. What a stunning book! This had me sucked in from page one. 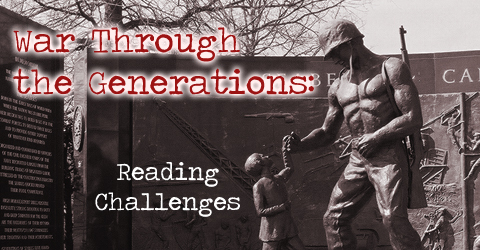 With a powerful and emotional beginning, this book is sure not to disappoint. And there was far more to it then I expected. I excepted far more of a love story, and of course it’s there, but there is a lot of thrilling action and suspense in it. Not in the way you see in thriller books, but there’s an aspect to it in the book, that really keeps the readers attention. I couldn’t not put the book down, except when I was too exhausted to read more. And I just forced myself to save the last 130 pages until I slept, because I didn’t want to miss anything from the book. The writing style is fairly simple, but it’s a good enough style to ensure you don’t become bored. What matters the most is the emotional struggles the characters that are heart wrenching at times, shocking at other times. And watching the characters pull themselves together in the aftermaths of WWII. I really enjoyed the author’s portrayal of the emotional stresses the characters went through in the aftermath; I think she handled it extraordinarily well. Lynda from Lynda’s Book Blog recently reviewed The Kommandant’s Girl by Pam Jenoff. Click here to see what she has to say about the book. The Diplomat’s Wife is a sequel to The Kommandant’s Girl, but the novel follows the life of Marta, a supporting character in the life of Emma. But unlike The Kommandant’s Girl, I had a hard time getting into the story or, even, caring about Marta. The Kommandant’s Girl begins slowly with Emma and the little boy she is hidden with, Lukasz, out shopping for food, but the story quickly picks up its pace, immediately grabbing me in the next chapter and refusing to let me go.